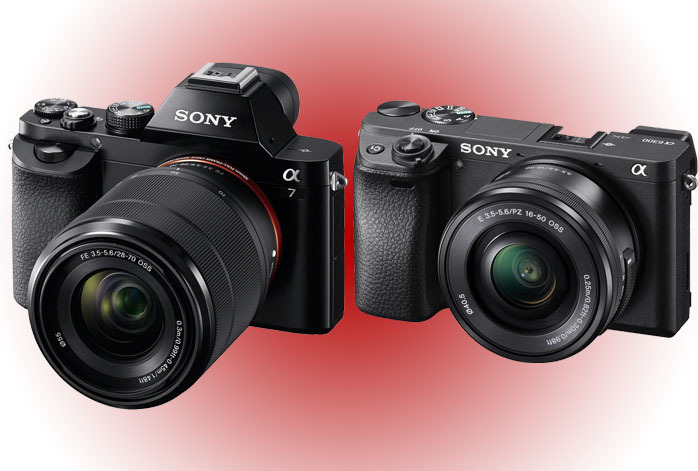 Both Sony a7 and Sony a6300 have metal bodies. They are both environmentally-sealed, alias weather-proof. You don’t need to worry about getting wet under some bad weather with the cameras. The construction is very rugged, and each camera feels solid in the grip. However, Sony a7 somehow has a significantly heavier weight than Sony a6300, making it less convenient to be brought along in a way and another. In a glance, the two seem pretty identical. Sony a7 and Sony a6300 each has a 24MP CMOS image sensor. However, you should take note that Sony a7’s is full-frame, while Sony a6300’s is APS-C. Thus, Sony a7 has significantly larger pixels when compared to Sony a6300. As the effect, Sony a7 has better dynamic range and colors. Also worth a note, Sony a7 has a maximum shutter speed of 1/8000s, while Sony a6300’s maximum shutter speed is 1/4000s. So, Sony a7 is able to capture fast-moving objects with much less blur. Nevertheless, Sony a6300 brings astonishing things in its features: 51200 maximum ISO, 425 focus points, and 11 fps continuous shooting speed. To compare, Sony a7 only has 25600 maximum ISO, 117 focus points, and 5 fps continuous shooting speed. With Sony a6300, you will be able to capture more details and emphasize more objects in your images. You can perform extensive brightness settings with the high ISO. The high photo burst speed gives Sony a6300 some edge for taking pics of moving objects. Additionally, Sony a6300 has faster startup and smaller shutter lag time than Sony a7, making it more reliable to snap the current moments. About videos, Sony a7 still records videos in Full HD (1080p). Sony a6300 is already able to record Ultra HD 4K videos. Each model has a microphone port to capture high-quality audio. If you prioritize image quality over all else, and you are confident in your timing to capture fast-paced actions and sports, then Sony a7 is certainly the way. If you prefer to have more features and settings, then Sony a6300 makes the most bang for the bucks.